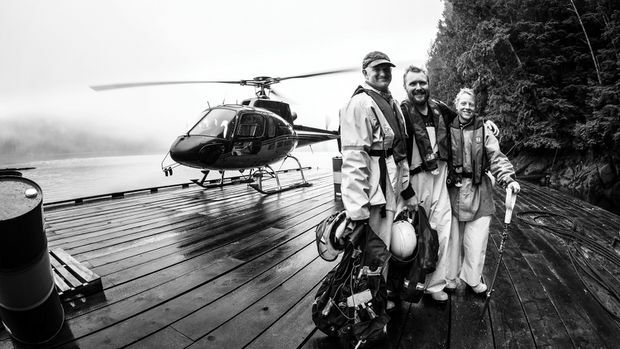 Employees from Strategic Natural Resource Consultants Inc. working on a project on Vancouver Island. Job creation is at the heart of Canada’s Top Small and Medium Employers (SMEs) 2019. That’s good news for job seekers and the Canadian economy – the SME sector is responsible for more than 95 per cent of new jobs in Canada over the past decade. It’s encouraging to see how many of these top SMEs added new jobs last year, often growing at an incredible pace. Some outstanding examples include Toronto-based Fleet Complete, a provider of fleet and mobile resource tracking, which increased its full-time work force by more than 40 per cent, and R.F. Binnie & Associates, an employee-owned and managed engineering firm in Burnaby, B.C., whose work force increased by more than 38 per cent, resulting in more than 50 new full-time positions. Besides creating new jobs, SMEs are known to be incubators of human-resource innovation, leading the way for larger employers to follow. Groundbreaking concepts such as no-limit vacations, which allow employees to decide how much time off they need in any given year, are currently offered by software developers Vidyard in Kitchener, Ont., and Verafin Inc. in St. John’s. While bold, this kind of forward thinking could bring more balance into our technology-driven workplaces where people are always connected. Canada’s Top SMEs can also compete with those bigger organizations when it comes to traditional benefits, such as support for long-term savings, career development, flexible health plans and maternity and parental leave top-up payments. Our winners often add their own improvements, including the choice to extend parental leave into an unpaid leave of absence or flexible hours to help new parents manage when they return. Increasingly, alternative work options are the norm rather than the exception. Concern for the well-being of staff continues to be a trend with popular perks, from Zumba class at lunch to comfortable employee lounges with lending libraries, table tennis and a Friday afternoon wine bar. Employees at Rangle.io, a software developer in Toronto, enjoy weekly yoga, onsite massage services, quiet rooms on each floor and swinging hammocks as well as a variety of healthy snacks every day. Whether you’re an individual looking for work or an enterprise looking for inspiration, these top SME employers hit the mark. Abilis Solutions, Montreal. Computer software; 160 employees. Celebrates exceptional performance and achievement through a variety of initiatives and rewards including tickets to events such as Cirque du Soleil. Absorb Software Inc., Calgary. Learning management systems; 150 employees. Continues to expand, adding nearly 50 new full-time positions in the past year. ACL Services Ltd., Vancouver. Custom computer programming; 255 employees. Offers a flexible health and wellness spending account which can be used to top up coverage or cover the costs of related expenses. Blue Spurs, Fredericton. Computer systems design; 82 employees. Offers referral bonuses for employees who recruit candidates from their personal networks. Book4Time Inc., Markham, Ont. Software development; 42 employees. Lets everyone share in the company’s success with profit sharing. Broadview Networks Inc., Winnipeg. Computer systems design; 22 employees. Organizes a variety of social events throughout the year including Taco Tuesdays, games nights, beer-tasting events and spa days. CBCL Ltd., Halifax. Engineering; 286 employees. Provides maternity leave top-up payments for new mothers and the option to extend their leave into an unpaid leave of absence. ClearTech Industries Inc., Saskatoon. Chemicals and equipment distribution; 121 employees. Gathers employee feedback regarding which charities to support and matches employee donations. Clio, Burnaby, B.C. Computer software; 243 employees. Provides two employee lounges at head office featuring video games, foosball, table tennis, board games and a lending library. Community Trust Co., Mississauga. Financial products and services; 107 employees. Encourages employees to give back to the community with a paid day off to volunteer, donating 800 volunteer hours on company time last year. CompuVision Systems Inc., Edmonton. Information technology services; 101 employees. Offers six paid personal days, which can be scheduled as needed, along with three weeks of starting vacation allowance. Connected, Toronto. Software developer; 123 employees. Encourages employees to adopt an ownership mentality through a share-purchase plan, available to all employees. Cority Software Inc., Toronto. Software developer; 169 employees. Continues to grow, adding nearly 30 new full-time positions in the past year. Cowell Motors Ltd., Richmond, B.C. New car dealerships; 320 employees. Offers a variety of alternative work arrangements including flexible hours, shortened and compressed work weeks and telecommuting. Croesus Finansoft Inc., Laval, Que. Financial management software and services; 180 employees. Lets everyone share in the fruits of their labour with profit sharing and year-end bonuses. CrowdRiff Inc., Toronto. Software developer; 90 employees. Supports employees who are new mothers and fathers, including adoptive parents, with generous maternity and parental leave top-up payments. D&D Automation Inc., Stratford, Ont. Industrial controls; 72 employees. Offers generous referral bonuses for employees who recruit candidates from their personal networks. Dejero Labs Inc., Waterloo, Ont. Internet connectivity technology; 101 employees. Offers a health-spending account and a separate wellness-spending account to help cover the costs of wellness-related expenses. Delnor Construction Ltd., Edmonton. Construction; 195 employees. Provides matching RRSP contributions and helps employees prepare for the long term with retirement planning assistance. Diamond Schmitt Architects Inc., Toronto. Architecture; 206 employees. Offers paid summer shutdown for all employees (half days every Friday), along with three weeks of starting vacation allowance. District M, Montreal. Software developer; 67 employees. Offers subsidized memberships to an onsite shared-use fitness facility that features instructor-led classes. Diva International Inc., Kitchener, Ont. Personal hygiene products; 33 employees. Offers an annual health-spending account, allowing employees to top up coverage as needed. Elastic Path Software Inc., Vancouver. Software publishers; 185 employees. Is growing at a rapid pace, adding more than 20 new full-time jobs in the past year. ERA Environmental Consulting Inc., Saint-Laurent, Que. Environmental, health and safety software; 68 employees. Features a variety of amenities at head office including a cafeteria with subsidized meals and healthy and special-diet menus. eSentire Inc., Cambridge, Ont. Cybersecurity; 256 employees. Helps keep employees engaged with social events throughout the year including a beer and wine tour and Star Wars movie day. Fiasco Gelato Cafes Ltd., Calgary. Gelato and sorbetto production and café; 31 employees. Encourages employees to adopt an ownership culture through a share-purchase plan, available to all employees. Fiix, Toronto. Software developer; 70 employees. Makes the commute to work a little easier with a transit subsidy of $70 per month. FinancialCAD Corporation / FINCAD, Surrey, B.C. Computer software; 86 employees. Encourages employees to give back to the community with two paid days off to volunteer and matching employee donations. Fleet Complete, Toronto. Fleet and mobile resource tracking; 265 employees. Organizes a variety of social events and celebrations throughout the year including a Mariposa boat cruise on Lake Ontario. Fresche Solutions Inc., Montreal. Information technology consulting; 184 employees. Recognizes exceptional performance through multiple initiatives, including peer-to-peer recognition, long-service awards, the President’s Award and the People’s Choice Award. FreshBooks, Toronto. Software publishers; 263 employees. Maintains a compassion fund to help employees through extenuating circumstances, such as covering the cost of a stolen bike or an emergency vet bill. Frozen Mountain Software Ltd., Surrey, B.C. Computer software; 35 employees. Offers phased-in work options for those nearing retirement. Fuller Landau LLP, Toronto. Accounting; 120 employees. Offers a health-spending account allowing employees to customize coverage to suit their personal needs. Great Little Box Company Ltd., Richmond, B.C. Box manufacturing; 279 employees. Rewards employee suggestions and cost-savings ideas with a share of the company’s financial savings. Harbour Air Group, Richmond, B.C. Airline; 290 employees. Donated more than 700 one-way flights in the past year to local and national non-profit organizations. Harvard Developments Inc., Regina. Commercial real estate management and development; 188 employees. Helps employees save for the future with contributions to a defined-contribution pension plan. HockeyTech Inc., Waterloo, Ont. Sports analytics information; 46 employees. Starts new employees with three weeks of paid vacation and offers up to five paid personal days off. Hostway Corp., Vancouver. Website hosting and management; 40 employees. Rewards outstanding employee performance with monetary bonuses and offers team-based monetary awards to spend on activities of their choice. Humania Assurance Inc., Saint-Hyacinthe, Que. Insurance; 150 employees. Keeps employees connected and up to date through a company newsletter and themed town hall meetings each quarter. Integrated Sustainability Consultants Ltd., Calgary. Environmental consulting; 80 employees. Is growing at a rapid pace, adding nearly 20 new full-time positions in the past year. Intelex Technologies, Toronto. Software developer; 404 employees. Offers a casual work environment with a number of social events throughout the year, including monthly summer patio parties. iQmetrix, Vancouver. Retail management software; 372 employees. Supports local and national charitable initiatives each year, as well as offering employees four paid days off to volunteer and matching their donations. Javelin Technologies Inc., Oakville, Ont. Specialized 3D software publisher; 95 employees. Provides referral bonuses as an incentive for employees to recruit candidates from their personal networks. Keystone Environmental Ltd., Burnaby, B.C. Environmental consulting; 95 employees. Offers a variety of financial benefits including profit sharing for all employees. LANDRY et associés, Montreal. Business consulting: 20 employees. Keeps employees engaged with social events throughout the year including sugar shack trips, a boat cruise and dinner on the St. Lawrence River and an internal board game competition. Larochelle Groupe Conseil, Montreal. Information technology consulting; 92 employees. Offers an annual health-spending account allowing employees to customize coverage to suit their personal needs. Lawton Partners Financial Planning Services Ltd., Winnipeg. Financial planning; 61 employees. Offers tuition subsidies for job-related courses, subsidies for professional accreditation and financial bonuses for some course completion. Left, Maple Ridge, B.C. Software development; 36 employees. Offers innovative rewards for small wins (such as a bottle of wine), big wins (a whisky tasting on top of a glacier), or gigantic wins (a photo safari and river cruise to a World Heritage site in Bangladesh). LPI Mechanical Inc., Brampton, Ont. Commercial and industrial HVAC services; 45 employees. Lets everyone share in the fruits of their labour with profit sharing and a year-end bonus program. Maximizer Software Inc., Vancouver. Software developer; 73 employees. Invests in ongoing employee education with tuition subsidies for job-related courses. McLeod Law LLP, Calgary. Law; 118 employees. Encourages employees to keep fit with a subsidy to help cover the cost of gym membership. MessagePoint Inc., Toronto. Communications management software; 68 employees. Offers flexible hours and a telecommuting option to help employees balance their personal and professional commitment. Naylor Building Partnerships Inc., Oakville, Ont. Specialized building contractor; 174 employees. Provides matching RRSP contributions and encourages employees to prepare for the long term with retirement planning assistance. Nicola Wealth Management Ltd., Vancouver. Investment management; 154 employees. Offers alternative work arrangements including flexible hours, shortened work weeks, a formal earned-days-off program and up to 10 paid personal days off. Northern Mat and Bridge LP, Clairmont, Alta. Industrial equipment and rentals; 323 employees. Offers a variety of in-house and online training programs, including apprenticeship opportunities. Noseworthy Chapman Chartered Professional Accountants, St. John’s. Accounting; 57 employees. Considers previous experience when setting individual vacation entitlements. Nulogy Corp., Toronto. Computer software; 140 employees. Offers new parents a $750 baby bonus, in addition to parental leave top-up payments, and flexible return-to-work options when returning from parental leave. Perley-Robertson, Hill & McDougall LLP / s.r.l., Ottawa. Law; 114 employees. Offers a variety of alternative work arrangements including flexible hours, telecommuting, shortened work weeks and paid personal days off. Points, Toronto. Customer loyalty program software; 192 employees. Supports ongoing employee education with generous tuition subsidies for courses directly and indirectly related to their current role. Priestly Demolition Inc., King, Ont. Remediation and demolition services; 276 employees. Helps employees save for the future with a defined contribution pension plan. Prophix Software Inc., Mississauga. Software developer; 185 employees. Maintains a number of company-sponsored sports teams including hockey, volleyball, dodgeball and squash. PSB Boisjoli LLP, Mont-Royal, Que. Accounting; 163 employees. Offers a generous health and wellness spending account allowing employees to top up coverage as needed. Pythian Group Inc., The, Ottawa. Computer systems design; 196 employees. Increased its maternity and parental leave top-up policy for new mothers. New parents can extend their leave into an unpaid leave of absence. Questrade Financial Group Inc., North York, Ont. Financial services: 370 employees. Encourages employees to keep their skills sharp through in-house training initiatives and generous tuition subsidies for courses at outside institutions. R.F. Binnie & Associates Ltd., Burnaby, B.C. Engineering; 192 employees. Helps employees save for the future with generous contributions to their RRSP accounts. Rangle.io, Toronto. Software development; 196 employees. Offers new employees three weeks of paid starting vacation, increasing to four weeks after only two years on the job. Reid’s Heritage Group of Companies, Cambridge, Ont. Housing construction; 253 employees. Offers bonus vacation time and travel vouchers to celebrate an employee’s fifth year on the job and every five-year increment thereafter. Richter LLP, Montreal. Accounting; 451 employees. Offers generous referral bonuses for employees who successfully recruit a new candidate to the firm. Rocky Mountaineer, Vancouver. Rail tour operators; 299 employees. Offers 10 fully paid new child days for any employee who becomes a new parent, in addition to its maternity and parental leave top-ups. Rodeo FX Inc., Montreal. Visual effects studio; 395 employees. Invests in ongoing employee education with generous tuition subsidies for job-related courses. Rohit Group of Companies, Edmonton. Real estate development and management; 170 employees. Encourages employees to make healthy choices with a steady supply of healthy snacks as part of its health and wellness program. Scalar Decisions Inc., Toronto. Information technology services; 330 employees. Starts new employees with three or four weeks of paid vacation, varying by position. Silvacom Ltd., Edmonton. Custom computer software and consulting; 65 employees. Helps employees prepare for the future with retirement planning assistance and phased-in retirement work options. Sionna Investment Managers Inc., Toronto. Investment management; 25 employees. Helps employees balance their day to day with flexible hours, shortened work weeks and telecommuting work options. Smart & Biggar/Fetherstonhaugh, Ottawa. Law; 390 employees. Provides numerous transportation options, including transit subsidies, a car pool sign-up system, secure bicycle parking, EV parking spots and work stations for telecommuters. Solink Corp., Kanata, Ont. Video surveillance software; 41 employees. Encourages employees to keep fit with subsidized memberships to an onsite shared-use fitness facility featuring exercise equipment and instructor-led classes. Sourced Group Inc., Toronto. Consulting; 31 employees. Starts new employees with four weeks of paid vacation. Startec, Calgary. Commercial refrigeration systems; 129 employees. Makes the transition from full-time work to retirement a little easier with phased-in retirement work options. Strategic Natural Resource Consultants Inc., Campbell River, B.C. Natural resource consulting; 181 employees. Encourages employees to save for life after work with generous matching RRSP contributions, up to six per cent of salary. SysGen Solutions Group Ltd., Calgary. Information technology consulting; 61 employees. Features an employee lounge at head office with a foosball table and a ready supply of toys for visiting four-legged family members at the pet-friendly workplace. TBT Engineering Ltd., Thunder Bay, Ont. Engineering; 147 employees. Invests in the long-term development of its employees with tuition subsidies for courses at outside institutions. Teed Saunders Doyle & Co., Fredericton. Accounting; 39 employees. Counters the accounting stereotype with a busy social calendar including an end of tax season party, box seats at hockey games, curling, and a summer party with whale watching and zip lining. ToursByLocals, Vancouver. Tour operator; 42 employees. Offers employees a casual dress code daily and the option to bring their four-legged friends to work when needed. Traction on Demand Inc., Burnaby, B.C. Marketing consulting; 325 employees. Encourages employees to work smart and balance their work and personal lives through a variety of alternative working options. Trico Homes Inc., Calgary. Housing construction; 139 employees. Encourages employees to become recruiters for the company with new employee referral bonuses. Trisura Guarantee Insurance Co., Toronto. Insurance; 121 employees. Lets all employees share in the company’s success with profit sharing and share-purchase plans. TSM / Talk Shop Media Inc., Vancouver. Public relations; 25 employees. Hosts weekly creative sessions, quarterly off-site team-building events and an annual overnight retreat to Whistler. Uberflip, Toronto. Cloud-based marketing software; 106 employees. Provides a variety of free healthy snack options every day such as fresh fruit, yogurt, cereal, protein bars, hummus and rice crackers. Uken Studios Inc., Toronto. Game developer; 90 employees. Cultivates an ownership culture through a share-purchase program that is available to all employees. Ventana Construction Corp., Burnaby, B.C. Commercial construction; 181 employees. Features an employee lounge at head office complete with foosball and table tennis as well as free access to an onsite fitness facility. Verafin Inc., St. John’s. Specialized financial software; 303 employees. Offers employees the opportunity to add some steps to their workout routine at a treadmill desk. Vidyard, Kitchener, Ont. Software developer; 199 employees. Allows employees to apply for an unpaid leave of absence. Visier Solutions Inc., Vancouver. Software developer; 300 employees. Offers a generous IVF subsidy if needed as well as maternity leave top-up and parental leave top-up for new dads and adoptive parents. Voices.com Inc., London, Ont. Online marketplace for voice actors; 99 employees. Reaches out to the next generation through paid internships, co-ops and summer employment opportunities. Voonyx Inc., Lac-Beauport, Que. Computer software; 31 employees. Encourages employees to save for the longer term with matching RRSP contributions. WalterFedy, Kitchener, Ont. Architectural and engineering services; 172 employees. Starts new employees with three weeks of paid vacation and offers three paid personal days off. Wealthsimple Technologies Inc., Toronto. Investment management; 130 employees. Offers its new moms and dads, including adoptive parents, generous maternity and parental leave top-up payments, to 100 per cent of salary for 24 weeks. WeirFoulds LLP, Toronto. Law; 218 employees. Offers new moms maternity leave top-up payments as well as the possibility of alternative work options to help balance their work and personal lives. Wesgroup Equipment LP, Surrey, B.C. Industrial machinery and equipment distribution; 183 employees. Encourages employees to recruit their friends with generous new employee referral bonuses. Wild Rose Brewery, Calgary. Breweries; 59 employees. Lets employees share in the company’s successes through a year-end bonus program and also offers discounts on company products.